My world is small, I have my favourite things, favourite places and favourite people. My taurean tendency is to be loyal, fixed with a preference for favourite things over new things. That was me today at Market Cafe (a favourite place), toting my shopping bag and making a space in the day for a coffee (a favourite thing) made by the familiar barista (a favourite person). That has been me on many days at Market Cafe. Market cafe has been through a lot with me. M and I were Saturday morning regulars, then he stopped coming. 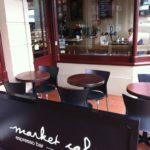 I stopped drinking at coffee at Market Cafe too, for a long time I avoided places we used to go. Me is different to we. I’ve never quite known how to talk about ‘us’ if somebody asked. In time I went back to Market Cafe, a tremendous wee step for me. They didn’t ask. I have often thought that they must have read of M in the paper, and didn’t need to know more. 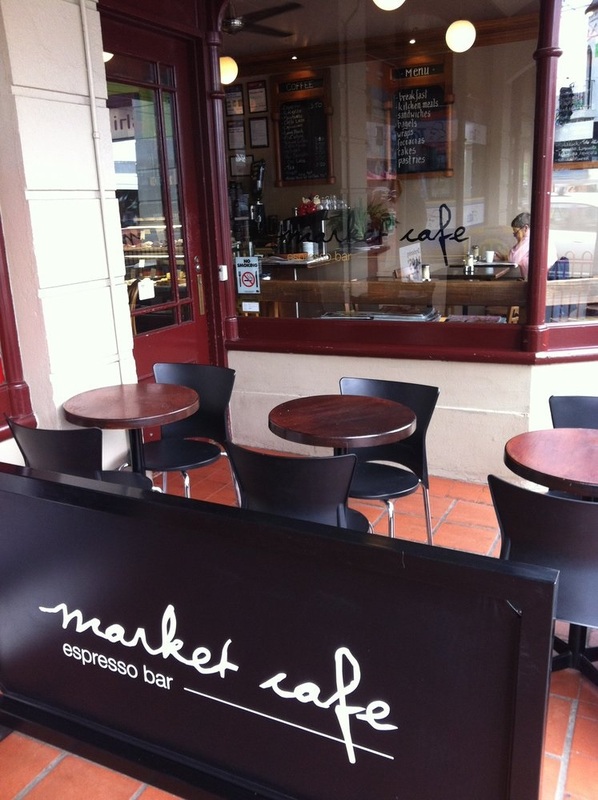 Whatever they did or didn’t know at Market cafe I was happy to enjoy a favourite place where I was accepted as me. Safe refuge in the simplicity of familiarity. Market Cafe is more than a place, it is a family. A wife, a husband, a son and a daughter. I’ve sat settled and steadfast at Market Cafe, almost rusted to my routine, while the young man and his sister have grown up and taken over the business. He is the barista now and today he told me they are closing, “Mum and dad are retiring, my sister is married…” his own plans are uncertain. I have been anchored in a shifting world by coffee at Market Cafe. Uncomplicated, just the usual. We’ve not learned each others names. He is the barista and I am a coffee drinker. I am profoundly moved that he said goodbye, and let me know and did not just disappear. He surprised me with a hug and his eyes went wet. One of those small huge tiny big moments at Market Cafe. Nobody cooks like your own family. It was a true family moment. The familiar. Thanks for sharing. Hug.